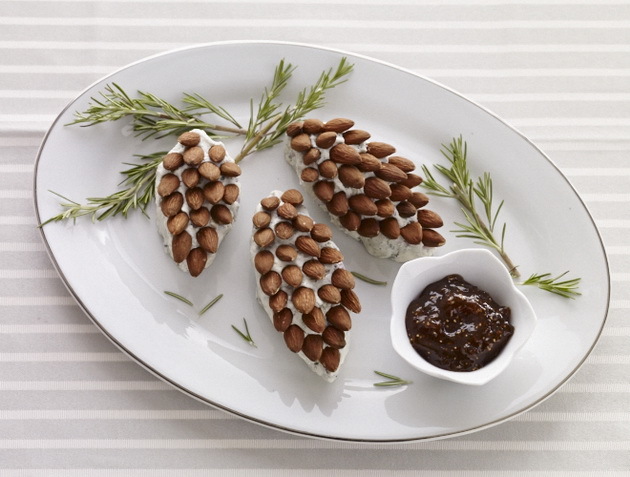 None host who does not want to surprise guests with a new, innovative recipe like this – salad shaped cones. In the cream cheese add the finely chopped dill and garlic, add the mayonnaise and mix with a mixer or blender. Finely chopped nuts and boiled chicken chopped in small pieces, add them to the mixture. Salt to taste. 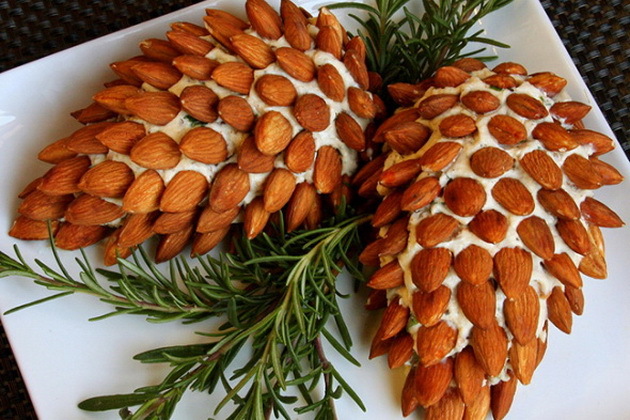 Serve the salad into the form of an ellipse that will decorate with almonds as the images. You can use branches and dill.